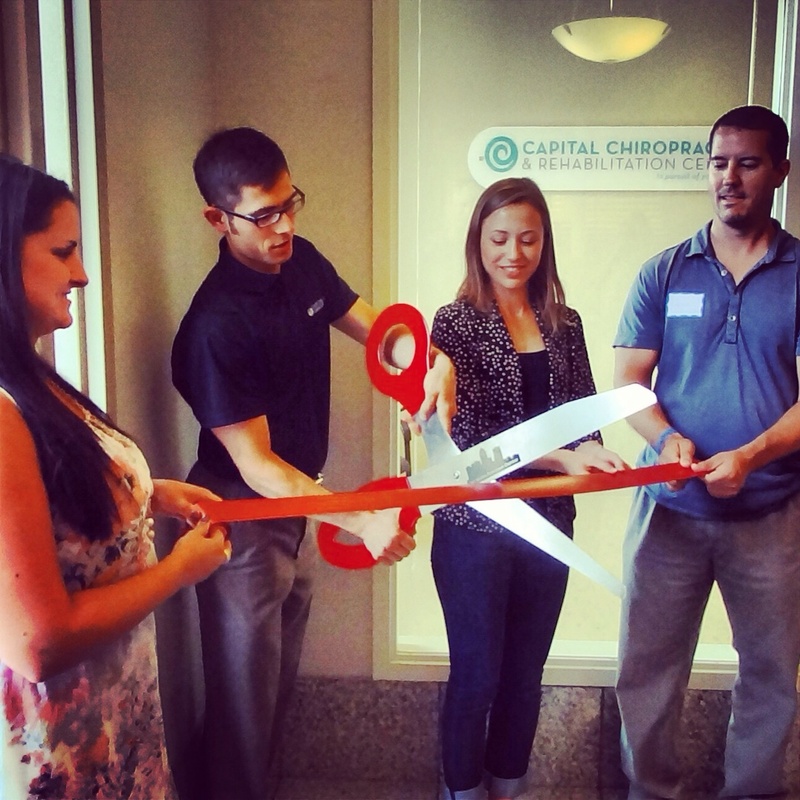 Dr. Chris LoRang cuts the official ribbon at Capital Chiropractic in Des Moines. Capital Chiropractic’s ribbon cutting on August 6th opened the business officially in Des Moines’ East Village. The event featured welcome addresses from Downtown Chamber President Kevin Tiernan, West Side Chamber President Jean Jones, and East and South Side Chamber President Lisa Baker, who also presented a first dollar plaque. Dr. Chris LoRang is now seeing patients Monday through Friday, helping you in pursuit of your best life.